I often find myself moved to write strange and dreamy fictions while travelling. 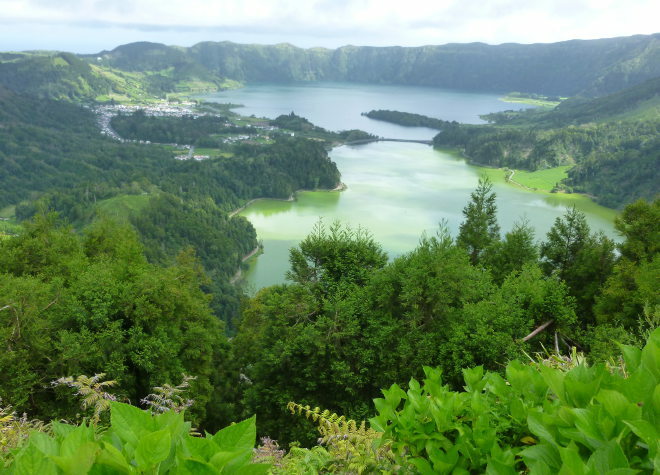 For instance, my story Two Pools of Water, inspired by a trip to the Azores, and published this week by dear damsels. My story draws on local myths, and the yearning of youth. Think of a place you’ve visited far from and as unalike home as possible, and use that as the setting for a story. If you can weave in a bit of local legend, so much the better! This entry was posted in Judy's writing, Writing prompts and tagged creative ideas, inspiration for writers, story ideas, travel writing, writing inspiration by Judy. Bookmark the permalink.